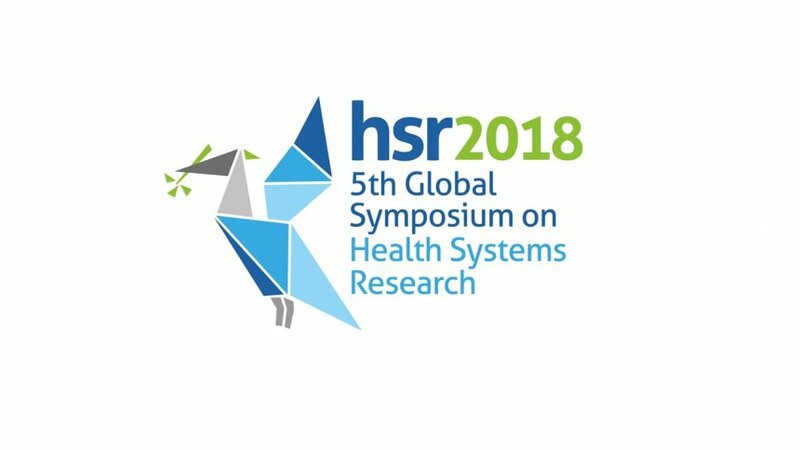 Health Systems Research is very pleased to announce that the call for abstracts for the Fifth Global Symposium on Health Systems Research is now open! About the Award: The Alma Ata vision of ‘Health for All’ remains as compelling today as it was in 1978, as reflected in the Sustainable Development Goal (SDG) 3 health goal. But the world has changed in forty years. Despite improved health outcomes, there remain extraordinary challenges for health equity and social inclusion, such as demographic and disease transitions, conflicts and their subsequent migrations, pluralistic health systems and markets, and climate change. Political systems still marginalize those most in need. Yet there are new opportunities for health systems to achieve universal coverage. The Fifth Global Symposium will advance conversations and collaborations on new ways of financing health, delivering services and engaging the health workforce, new social and political alliances, and new applications of technologies to promote health for all. And once as a poster presenter, based on an accepted individual abstract. Multiple submissions that include the same named contributor will be reviewed by the Scientific Committee, but the Program Working Group will be responsible for finalizing abstract selection so as to maximize diversity and ensure balance across the program. Eligibility: Abstracts in English, French and Spanish will be accepted. Participatory sessions: These could be round table discussions, debates, ‘fishbowl’ discussions, simulations, games, pyramid sessions, group modelling, or any other approach that actively encourages audience participation. Panel presentations: This format is the traditional panel presentation, but organizers must allow adequate time for audience discussion and interaction. In line with the core Symposium principles, the Scientific Committee will be asked to assess organized sessions on the basis of: (i) technical merit; (ii) relevance to the Symposium theme; (iii) significance for the sub-theme area and/or field-building dimension; (iv) engagement of policy-makers, managers and civil society groups (i.e. chair and those with planned roles); and (v) potential for active involvement by the audience. Individual abstracts may be submitted as a paper, poster or multimedia presentation. A paper is a 10 minute oral presentation with 5 minutes allowed for questions. Note: If an abstract is submitted as a paper, it may be accepted as a poster – please do not submit for both a paper and a poster for the same abstract. A poster is a physical display that is no more than 120 cm by 80 cm in size. A multimedia presentation could be a short film, documentary, animated film or photo-essay and should be no longer than 15 minutes in total presentation time. For empirical research presentations a structured abstract should be prepared, covering background, methods, results and discussion / conclusions. For conceptual research, or work under other field-building dimensions, abstracts should cover Purpose, focus/content, significance for the sub-theme area/field-building dimension of relevance and target audience. Individual abstracts may be accepted either for oral, multimedia or poster presentation. In line with the core principles of the Symposium, the Scientific Committee will be asked to assess individual abstracts on the basis of: (i) technical merit; (ii) relevance to the Symposium theme; (iii) significance to the sub-theme area and field-building dimension. Value of Award: Organizers of the Fifth Global Symposium hope to be able to provide travel support to some participants, in particular residents of low- or middle-income countries and full-time students (from countries of all income levels). Applications for travel support will be accepted only after the results of the organized session and individual abstract review process is complete (approximately April 2016). Applications will only be accepted from those who have had an individual abstract accepted (for poster and/or oral presentation) or who are named contributors within an accepted organized session that does not have external funding. The number of scholarships offered per organized session will be dependent on funding availability. A 400-word (maximum) summary of the planned session process, including: short description of any presentations or inputs, the moderation or management approach of the session, the role of contributors – both those named in the abstract and any others with planned roles, and a rough breakdown as to how the 90 minutes will be used. Registration for the Symposium will open in April 2018. If your organized session or individual abstract is accepted for presentation, you will be required to register and pay as a delegate in order to be able to participate in the Symposium.